This is an A4 Landscape storybook with 26 pages. There can be up to 2 images on each page together with text. 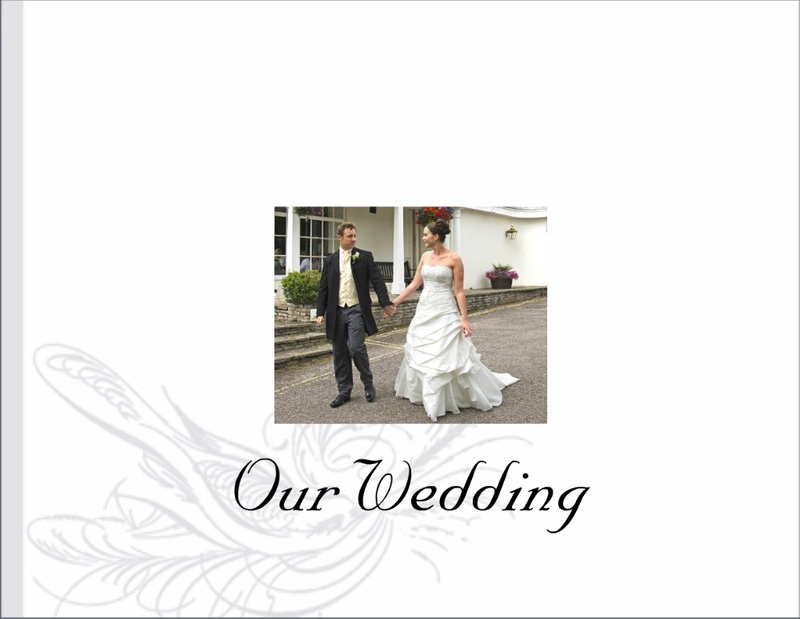 The example shown here includes words from the vows, speeches and songs sung on the day.